Alisan Fine Arts is proud to present our fifth solo exhibition for Lui Shou-kwan, echoing the "Lui Shou-kwan Centenary: Abstraction, Ink and Enlightenment" exhibition currently staged at the Ashmolean Museum in Oxford. Our gallery centenary pays homage to the artist's legacy here in "his" city, for while born in Guangzhou in 1919, Hong Kong was his home from 1948 until his passing in 1975. Lui Shou Kwan was a pivotal force in forging Hong Kong's unique artistic identity, synthesising the traditional painting techniques from the Mainland with the Western style imparted by the city's colonial roots. From the outset of his artistic career, Lui actively sought to revolutionise Chinese ink painting and through the appropriation of elements associated with Western Abstract Expressionism into his practice, effectively launching what was later termed the New Ink Movement. Throughout his career, whose breadth covered representational, semi-abstract and abstract works, his chief concern remained focused on the image's ability to emote the individuality and spirit of the artist, no matter the rules and techniques that might be abandoned in that pursuit. This centenary exhibition demonstrates the depth of Lui's oeuvre through its varied selection of works from throughout the artist's career. A total of 22 paintings ranging from 1957-75 will be on display. The majority of these works have never been published, thus offering a rare and exciting experience to the Hong Kong community. Lui's ability to fuse abstraction with spirituality is most prolifically expressed in the artist's Zen series, begun in the 1960s, and characterised by broad and free calligraphic brushstrokes and ink washes with an atmosphere of philosophical contemplation. Inspired by Zen Buddhism and the lotus flower, these remarkable paintings have become the archetypal language associated with Lui's work. Never relinquishing tradition, during the several decades spent developing his Zen series, the artist simultaneously explored representational themes and landscapes. 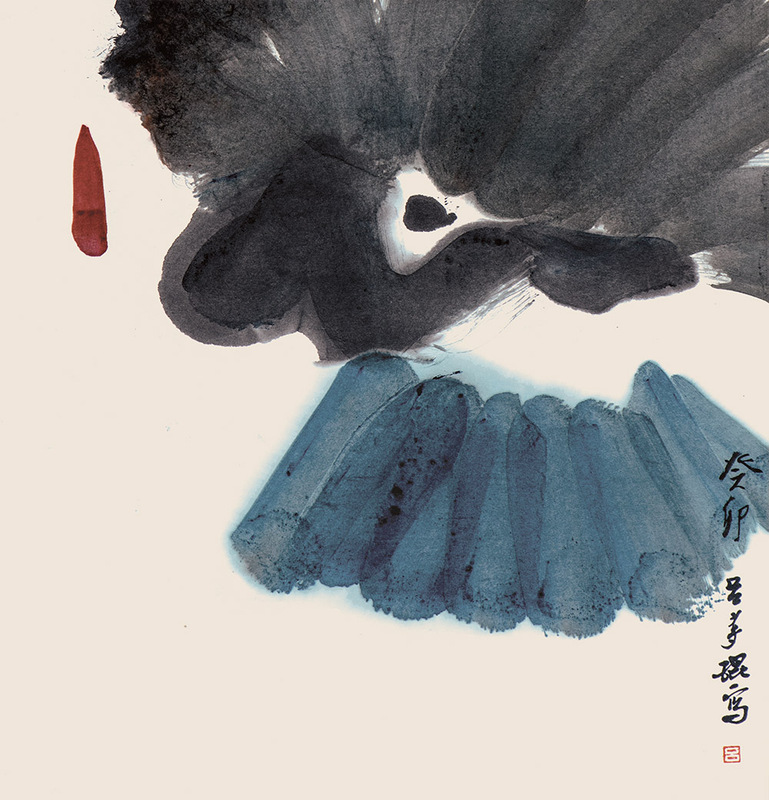 The influence of the Father of New Ink on Hong Kong's modern and contemporary artists has been profound, his contributions to ink painting now considered such commonplace practices that we easily forget how revolutionary his abstract, individualistic, and westernized approach was for his era. With this celebratory exhibition, marking 100 years since the birth of the father of the New Ink Movement, we reiterate our belief in his vision, commend his life and legacy, and encourage a broader appreciation amongst our community of Lui Shou-kwan's influence upon what is now universally embraced as the standards of contemporary ink art.